Bandit’s staff is second to none in the area of qualified instruction. 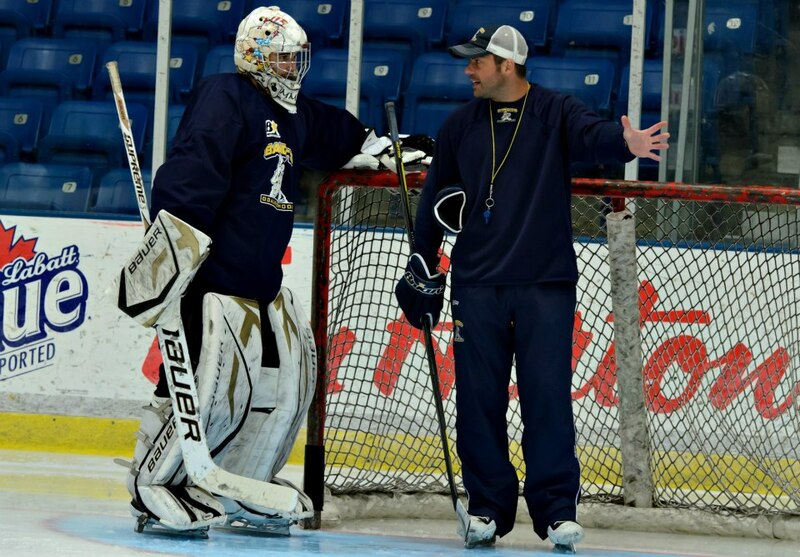 All staff members have received years of instruction from the Director of Bandits Goalie School, Stan Matwijiw. Why is this important? Every Bandit’s instructor is not only an accomplished goaltender but has been taught under Bandits Goalie School core system of teaching; therefore making every instructor a branch off the same tree. In other words, it doesn’t matter what Bandits instructor attends a team’s practice, the knowledge and teaching philosophies STAY THE SAME. Bandits has different packages for every teams needs whether it’s once a week, two times a month or even once a month basis. In team practices, a Bandits instructor will focus on a variety of areas throughout the year in order to make each student consistent and focused and building for the next level.